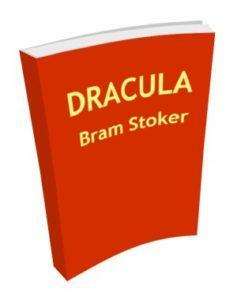 Dracula is a classic horror fiction by Bram Stoker. Start reading here then download the free eBook (free pdf). _3 May. Bistritz._–Left Munich at 8.35 p.m. On 1st May, arriving at Vienna early next morning; should have arrived at 6.46, but train was an hour late. Buda-Pesth seems a wonderful place, from the glimpse which I got of it from the train and the little I could walk through the streets. I feared to go very far from the station, as we had arrived late and would start as near the correct time as possible. The impression I had was that we were leaving the West and entering the East; the most Western of splendid bridges over the Danube, which is here of noble width and depth, took us among the traditions of Turkish rule. Here I stopped for the night at the Hotel Royale. I had for dinner, or rather supper, a chicken done up some way with red pepper, which was very good but thirsty. (_Mem._, get recipe for Mina.) I asked the waiter, and he said it was called “paprika hendl,” and that, as it was a national dish, I should be able to get it anywhere along the Carpathians. I found my smattering of German very useful here; indeed, I don’t know how I should be able to get on without it. I did not sleep well, though my bed was comfortable enough, for I had all sorts of queer dreams. There was a dog howling all night under my window, which may have had something to do with it; or it may have been the paprika, for I had to drink up all the water in my carafe, and was still thirsty. Towards morning I slept and was wakened by the continuous knocking at my door, so I guess I must have been sleeping soundly then. I had for breakfast more paprika, and a sort of porridge of maize flour which they said was “mamaliga,” and egg-plant stuffed with forcemeat, a very excellent dish, which they call “impletata.” (_Mem._, get recipe for this also.) I had to hurry breakfast, for the train started a little before eight, or rather it ought to have done so, for after rushing to the station at 7.30 I had to sit in the carriage for more than an hour before we began to move. It seems to me that the further East you go the more unpunctual are the trains. What ought they to be in China? All day long we seemed to dawdle through a country which was full of beauty of every kind. Sometimes we saw little towns or castles on the top of steep hills such as we see in old missals; sometimes we ran by rivers and streams which seemed from the wide stony margin on each side of them to be subject to great floods. It takes a lot of water, and running strong, to sweep the outside edge of a river clear. At every station there were groups of people, sometimes crowds, and in all sorts of attire. Some of them were just like the peasants at home or those I saw coming through France and Germany, with short jackets and round hats and home-made trousers; but others were very picturesque. The women looked pretty, except when you got near them, but they were very clumsy about the waist. They had all full white sleeves of some kind or other, and most of them had big belts with a lot of strips of something fluttering from them like the dresses in a ballet, but of course petticoats under them. The strangest figures we saw were the Slovaks, who are more barbarian than the rest, with their big cowboy hats, great baggy dirty-white trousers, white linen shirts, and enormous heavy leather belts, nearly a foot wide, all studded over with brass nails. They wore high boots, with their trousers tucked into them, and had long black hair and heavy black moustaches. They are very picturesque, but do not look prepossessing. On the stage they would be set down at once as some old Oriental band of brigands. They are, however, I am told, very harmless and rather wanting in natural self-assertion.